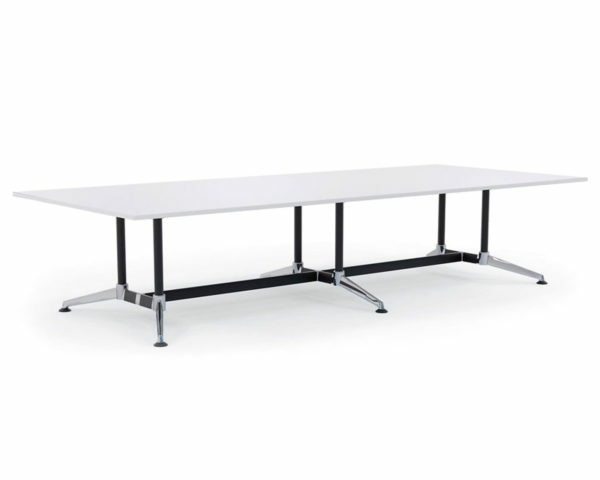 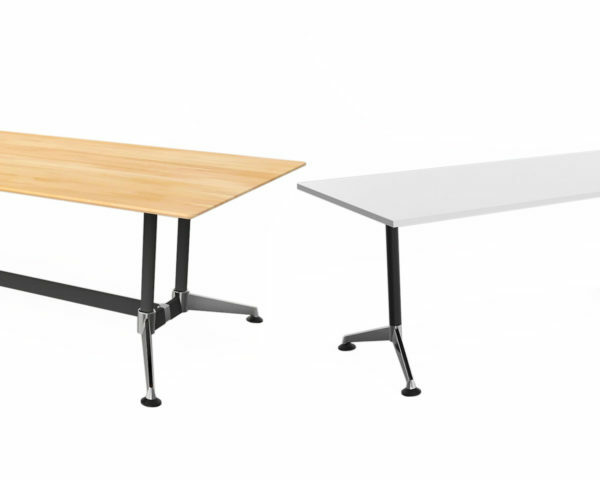 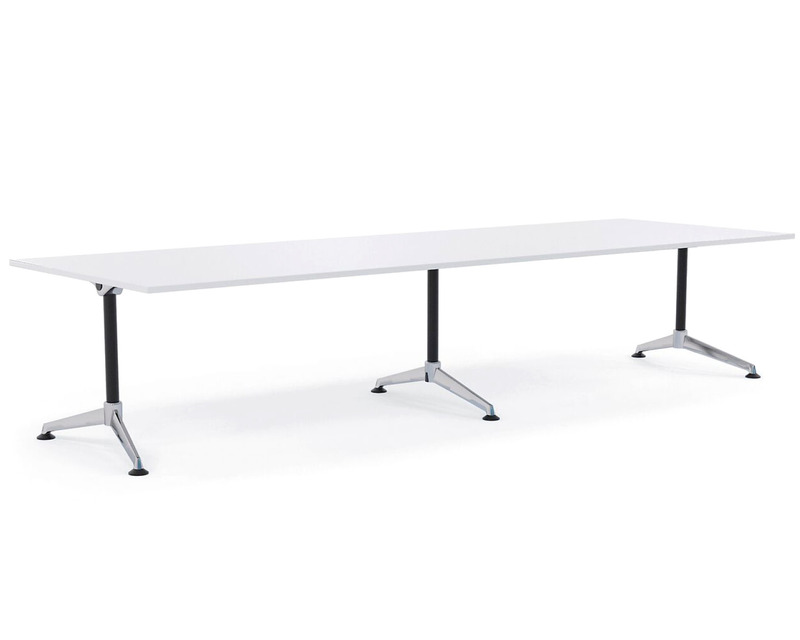 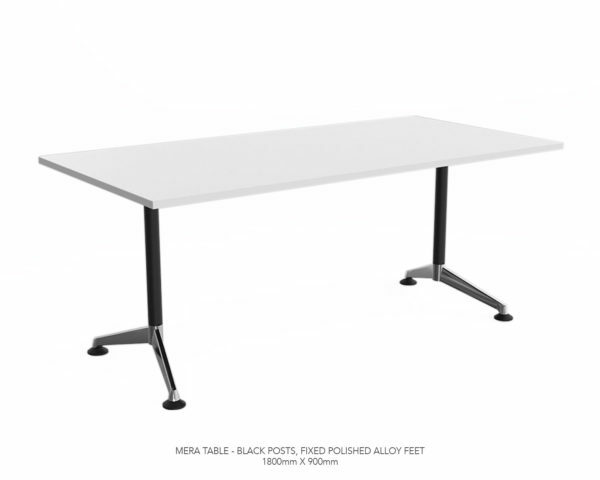 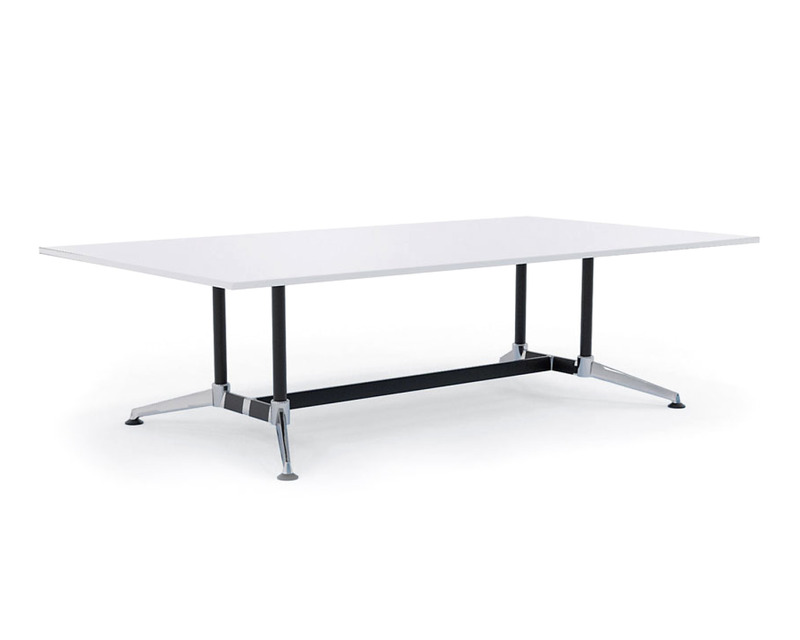 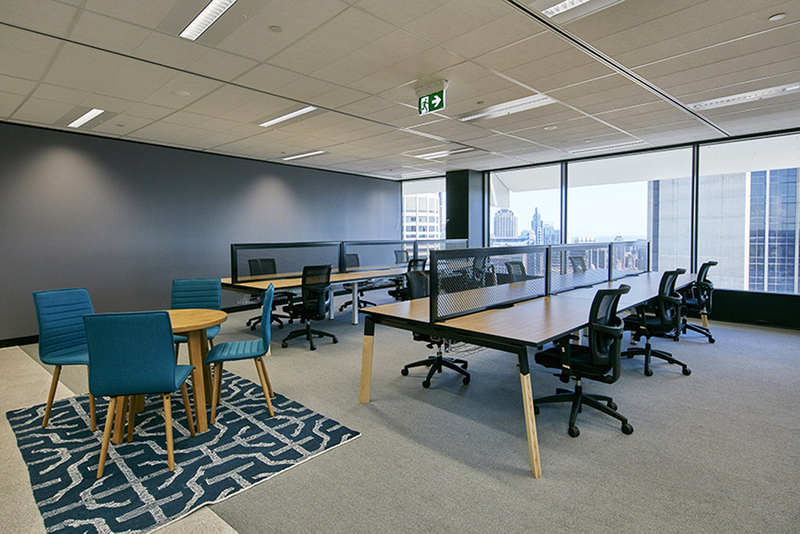 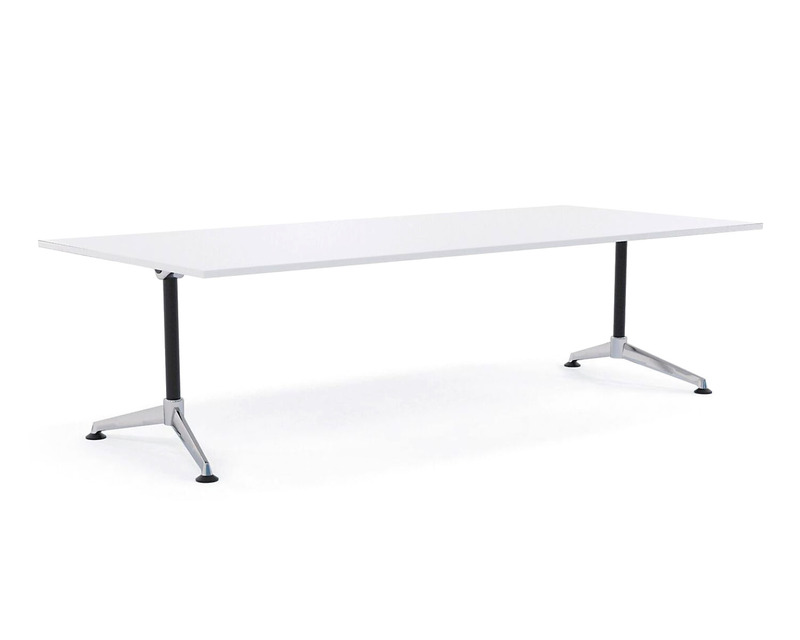 The Mera System has a timeless simplicity with one universal leg that supports many tables designs. The distinctive A-shaped rail and socket system securely locks the table together and gives immense strength. 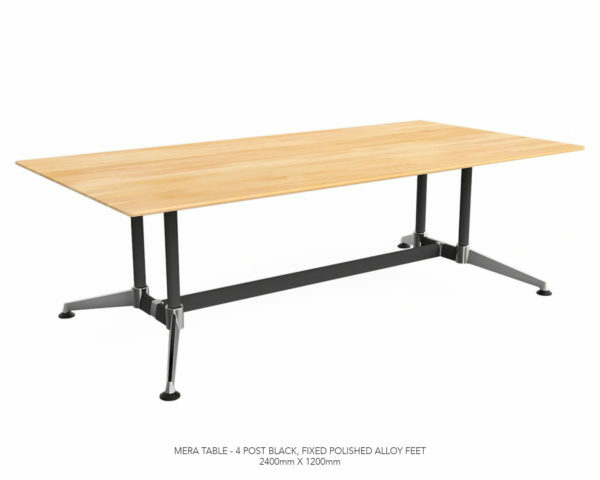 Mera tables are available in both single post and twin post leg systems.